Hello, gorgeous! This cross is new, and exclusive to MPC. It is the result of many years of selective breeding across multiple generations. 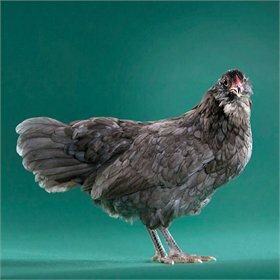 As the name suggests, we've bred a Silked Easter Egger! 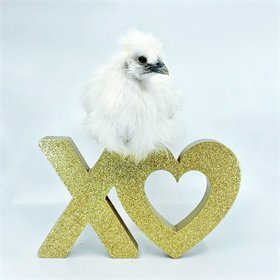 Your chick has a 50% chance of hatching out with silked feathers, 50% with smooth feathers, and 100% great layers. The chicks will have a random combination of muffs, beards and crests, and their skin will be either slate green or black in color. 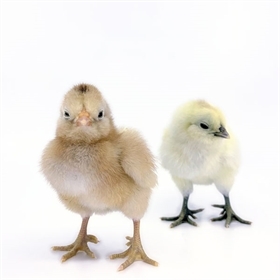 They will also have feathered legs and feet, varying from lightly to heavily feathered. 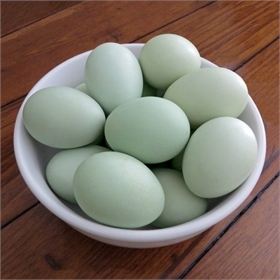 About 95% of their eggs will be green in color and the remainder will be cream-colored. 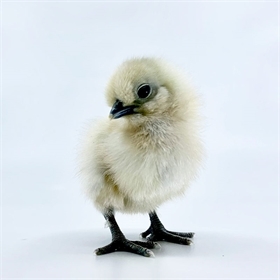 While Silked Easter Egger chicks hatch out different colors, they all end up white – imagine that! You may be wondering about their size since there's Silkie blood in their genes, but since this is a multi-generational project, we've had the time to breed for size. 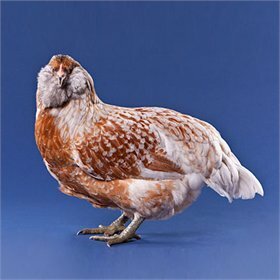 The mature birds will be the same size as a typical Easter Egger, with hens weighing around 3-1/2 lbs. 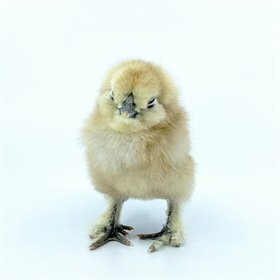 This breed will also tend to be broody, if you're looking for a great mama! 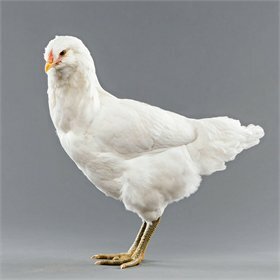 This variety is a custom cross, bred exclusively for My Pet Chicken. On average, 15/16 pullets will lay green eggs when they mature.